7 Common Tech Myths busted - Sewelltech, Inc. 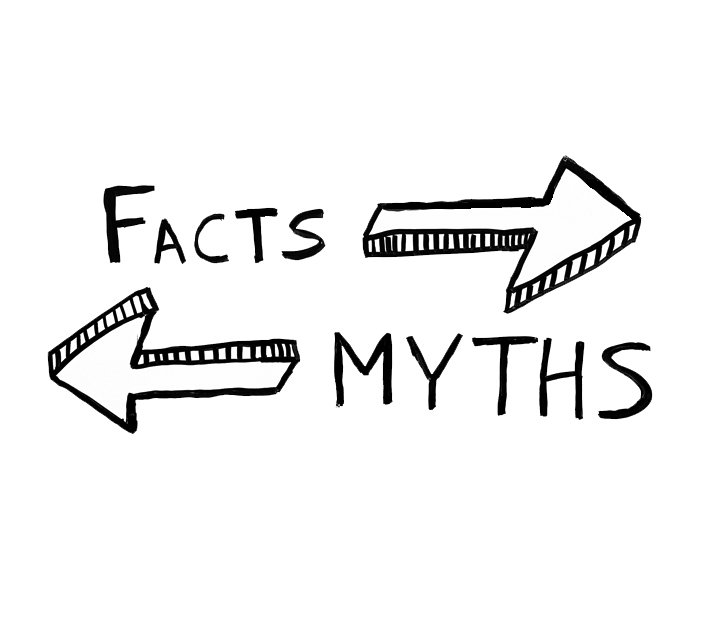 Here are seven myths that I hear people say repeatedly, most are not exactly accurate. Many people are afraid to charge their phone or tablet overnight because they think it might overcharge and destroy the battery. I also field this question from people worried about leaving laptops plugged in 24/7. But modern electronics automatically stop charging so they don’t overcharge. There’s a difference between knockoff chargers and third-party chargers. Third-party chargers are OK to buy. Just know that, in general, they won’t charge your gadget as quickly or reliably as a maker’s official charger. Knockoff chargers usually don’t have a brand name, or they say they’re from Apple, Samsung, HTC, etc. but have a ridiculously low price. Knockoffs are often responsible for the horror stories you hear about gadgets bursting into flames or electrocuting users. Avoid them at all costs. Your safest choice is to buy your charger directly from the manufacturer. You should also know the signs of a shady gadget charger. Next, take a look at the markings on the outside of the charger. Does it say “Designed by Apple” or “Designed by Abble”? Knockoffs are usually plagued with misspellings and mistranslations. Bad grammar should be a strong hint. If you have an iPhone 5 and up or new iPad, it uses the Lightning connector. You won’t have to try so hard to decide if it’s genuine. These cables have authentication chips installed to ensure your safety. Only Apple-approved suppliers can get the chips. Extreme heat and cold are not good on your sensitive electronics. We live in Dallas, where during the summer car interiors can hit a blistering 160 degrees. That is pretty much an oven. I’ve seen cellphone batteries swell and be destroyed within hours. In areas where temperatures dip below freezing, your battery won’t fare much better, and your gadget might actually die if you’re trying to use it outdoors. When in doubt, check the manufacture specs. Or visit the manufacture website and look in the support area. Unlike older Nickel-Cadmium batteries, which had a “memory effect” that meant you had to drain them every time, Lithium-ion batteries (the kind in just about every modern gadget), don’t have that problem. In fact, Li-ion batteries last longest when you keep them between 40% and 80% charged. Also, if you let Li-ion batteries discharge completely for too long, they can be permanently damaged or become dangerous. For some gadgets, you might not need to do it at all. Apple used to recommend this process but now says it’s no longer needed. Check your manufacture to see if it has any specific directions. All smartphone operating systems aren’t created equal, making this myth tough to break down. Apple’s iOS for instance, when you hit an iPhone’s Home button, an app moves from active to background to suspended in a matter of seconds. Suspended, an app draws neither processing nor battery power. Windows Phone 8 background apps operate in much the same frozen fashion as iOS — but there are exceptions. For instance, a GPS navigation app that needs to run in the background, or something like a VoIP app that needs to sit and wait for calls, What both Apple and Microsoft do [is] … implement these background modes, which is easier on performance and power. Android, however, lets apps run when they’re not on screen, and do whatever they want. Background apps on the new BlackBerry 10 can also sap processor and battery resources. Judgment: Mostly FALSE (iOS, Windows Phone 8), TRUE (Android, BlackBerry 10). Most modern web browsers like, Safari, Firefox and Chrome, have a private browsing mode.